Oberthur Technologies is part of the French company Idemia group, which specialises in digital transactions and digital security. It has a contract with the British Home Office for fingerprint matching. 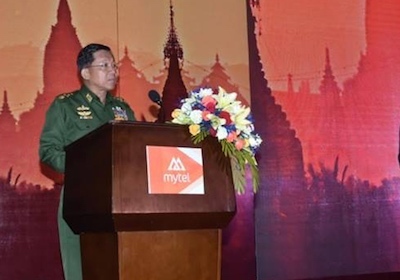 In Burma Oberthur Technologies is in a joint venture, Myanmar Mobile Money, with the Burmese military-owned Innwa Bank.